Monday, 14 March was the first ever jBPM5 Roadshow which landed in the Netherlands, featuring Kris Verlaenen and two sessions. This idea was born with the release of the JBoss jBPM5 project and a need to spread the word on the next generation of open source BPM. Initially we were planning to have an public session but there were some holidays (Carnaval is pretty big here in the southern part of the Netherlands) which meant most people would be otherwise occupied. We plan to hold such a session in the near future for a wider audience, so watch for the announcements. There were several interesting demo's with the tooling, both developer and business oriented, being showcased. 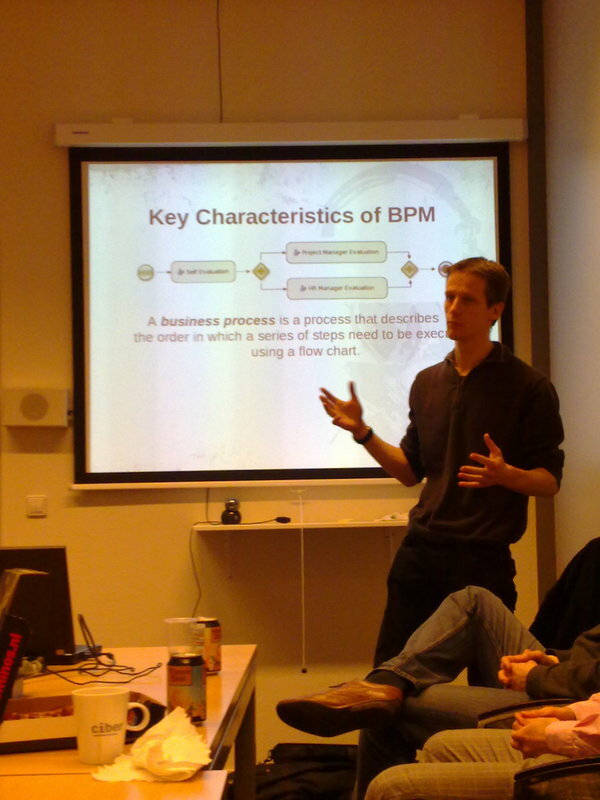 There were great discussions with regards to the round-tripping capabilities provided by jBPM5 BPMN2 tooling and the business oriented web tooling. All in all, a very good session that captured their imagination and got the creative juices flowing within the various team members. Later in the evening we were able to secure a session with a partner that has offices local to the morning session. They were more than glad to host the session and we had a packed room with not only developers, but consultants, analysts and project managers that were very interested in this JBoss BPM tooling session. We will be coming soon to the rest of the Benelux, so watch for the announcements as this is one Roadshow you don't want to miss!